Why does this happen, and is there anything you can do about it? Keep on reading to find out! Perimenopause is the period of 4-10 years that happen before menopause. There are symptoms such as irregular periods, hot flashes, aches and pains, or increased PMS. When there are no periods for a year, you have officially entered menopause. What Causes Weight Gain in Perimenopause? There are a few different reasons why someone may gain weight in the period before menopause. Let’s explore a few of them. The average women in midlife gains about 1 pound per year. So, if someone enters perimenopause when they’re 40 for a period of 8 years, they could be 8 pounds heavier just due to the natural aging process. What does happen around menopause is that the changing hormone levels redistribute body fat, and it tends to settle around the middle, or stomach area. This leads to the characteristic “apple” shape. However, hormones do play a role in weight gain well. Estrogen levels begin to drop in Perimenopause. Your body will struggle to maintain the previous level of estrogen, but your ovaries are producing less and less of it. Body fat can produce estrogen, so it suddenly becomes more valuable and your body struggles to hold onto it. This is why dieting during this period in your life might not produce the same results it did before. Night sweats and hot flashes are a common symptom during this time in your life. Lack of quality sleep can lead to weight gain at any age. People lose muscle mass as they age, which often turns into fat stores. This tends to happen because people are less active the older they get. Muscles burns more energy than fat, even when it’s doing nothing. Combat this by maintaining an active lifestyle, with a mix of cardio and resistance training. During this phase of life, there may be lots of other big changes happening that can lead to a reduction of activity. For example, kids moving away from home, retirement, and a decreased workload around the house. Unless lifestyle changes are made, this reduction in normal activities can lead to an increase in weight gain. Are there Any Health Risks to this Weight Gain? For optimal health, stay within the recommended weight range for your height. Are there any Cures for Weight Gain Before Menopause? There are no known “magic pill” cures for weight gain during perimenopause. However, it’s thought that HRT (hormone replacement therapy) may play in a role in insulin resistance, and body fat distribution, so check with your doctor about this. Some studies have shown that HRT can reduce “belly fat,” and also overall weight gain during the years leading up to menopause. However, the advice the vast majority of doctors give is to pay attention to your health. It’s important to focus on things like eating filling foods, getting into an exercise routine, and not drinking your calories. Learn more here: Treatment Options for Pre-Menopause Symptoms. You could also consider some supplements that may help to regulate hormones and manage symptoms in the years before menopause. Weight gain with age is not inevitable. There are some things you can do to help prevent this. Drinks are a hidden source of calories. Cut back on alcohol, especially beer if you drink it frequently. If you drink coffee, do so black, or with just a drop of sugar and milk. Avoid fruit juices and soda completely. It’s easy to become more inactive as we age, but fight this! Incorporate exercise into your daily routine. Take a walk or go for a bike ride. Start swimming a few times a week. Sign up for a yoga class. Find something you like to do, and do it regularly! It’s really easy to consume a ton of calories if you sit down to watch TV at night. Change up your routine. Do some sit-ups and push-ups. Get a treadmill and walk while you watch. It’s hard to snack when you’re working out. If you can incorporate more standing into your day, then do it. Consider a standing desk, or walking to shops around your home rather than driving. Studies have shown that increased cortisol levels (a hormone your body releases to deal with stress) can lead to weight gain. Try getting outside, taking up yoga, or blocking out some time for yourself in the day to help reduce your stress levels. Will HRT cause weight gain? It’s a common myth that hormone replacement therapy will cause weight gain. Experts say that while it can increase bloating and fluid retention, it actually helps to maintain or increase your resting metabolic rate. In general, people who use Hormone Replacement Therapy to manage their perimenopausal symptoms find it easier to keep weight off, or lose it. However, talk with your doctor about the pros and cons of HRT, including risks and side effects. Does Everyone Gain Weight Before Menopause? Is weight gain in the period of time before menopause inevitable? It’s one of the most common perimenopause myths, but it’s actually not true. Although some people do gain weight, it certainly doesn’t happen to everyone. Some people are just naturally skinny due to a high metabolism, while others gain and keep on weight more easily. If you’re one of those naturally skinny people, you likely won’t gain a lot of weight during perimenopause, as long as you keep up your regular habits. However, if you’re one of those people who gain weight easily and have a hard time losing it, you may have to pay more attention to what you’re eating, increase the intensity of your exercise sessions, or ensure that you’re getting enough quality sleep. What about Periods During Perimenopause? Due to fluctuating hormone levels, periods often become very irregular during Perimenopause. A normal pattern is that they become lighter, and the length of time between them increases. However, this is not always the case. In some cases, people experience spotting continuously during perimenopause. Find out more here: Perimenopausal Periods. Need help dealing with irregular periods, or spotting? 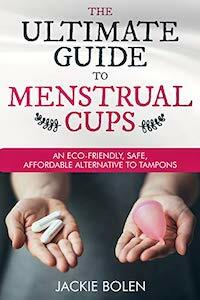 Then you’ll want to check this out: Best Period Protection for Perimenopause. Weight Gain in Perimenopause: Have your Say! Have you experienced weight gain in perimenopause? Do you have any tips or tricks for dealing with it? Does this Happen to Men Too? Are women the only ones to gain weight in their 40’s and 50’s? Men go through it too in a process known an Andropause. It’s also commonly referred to as Male Menopause. It’s partly caused by a fluctuation in hormones, but men gain weight in later life for much the same reasons as women do: lack of healthy eating and exercise. You can learn more about it here: What is Male Menopause? We are NOT medical doctors. We do strive to give you the most accurate, up to date information available. However, please consult with your doctor about your specific situation, especially with regards to HRT. Perimenopause and Weight Gain: Have your Say! Any questions or comments about perimenopausal weight gain? Leave a comment below and let us know.